If you have had trouble planting grass seed early in the year, or wonder when the best time to put down a crabgrass preventer is, your answer is in knowing the soil temperature. In fact, the best time to plant grass seed and/or to spread crabgrass preventers in the spring depends on the year and the type of weather we have been experiencing. 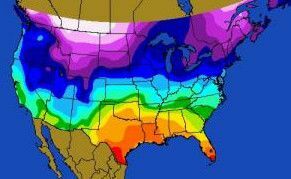 Take the guesswork out of this scenario by following soil temperatures in Western PA on this quick reference website, put out by the National Corn Growers Association. When is it too early to plant grass seed in the spring? Wait until soil temperatures are at least 55 degrees and then apply your grass seed. Gone are the days that you apply too early and the grass seed is eaten or washed away… leading to poor and sporadic results. When will crabgrass begin to germinate in my lawn? Not until temperatures are 55 degrees will crabgrass even begin the process of germinating for the spring. Waiting until this time will not provide any setbacks with your lawn. When should vegetable seeds be direct sowed into the soil? It is most ideal for vegetables and flowers to be sowed outdoors when soil temperatures raise to between 50 and 60 degrees. As a side note, wait until after the last chance of frost for any seedlings to be planted outdoors (typically the last week of April for Western PA). There are many other instances in which knowing soil temperatures can help you success in your lawn and garden this year… so be sure to check the website above whenever you are in question.